Masahiro Sakurai has sent a letter to fans of his acclaimed Super Smash Bros. series., discussing recent Nintendo 3DS exclusive release Kid Icarus: Uprising. Within, he discusses how the Project Sora studio tackled their approach in taking “one big leap” to reinvent Kid Icarus since its 1987 NES roots, as well as discussing the various modes within the new game. Sakurai also reveals that he wrote the game’s humorous script himself, and that Nintendo of America’s localisation team translated it for the overseas release. “This is Masahiro Sakurai, Director and Game Designer of Kid Icarus: Uprising. I am also the Director of the Super Smash Bros. series. 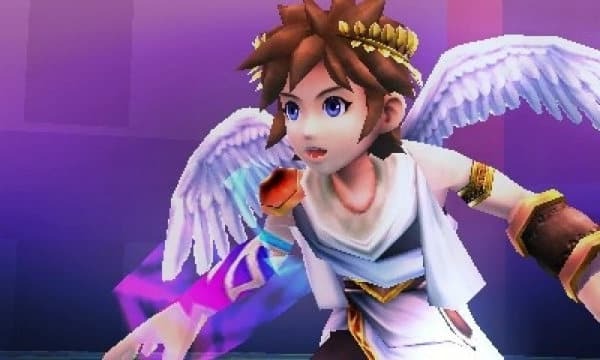 “The character Pit, who appears in Super Smash Bros. Brawl for Wii, was the main character in Kid Icarus 25 years ago. In bringing him to Super Smash Bros. Brawl, I designed him imagining, “if the series had continued and he had evolved with it over these long years, what kind of character would he be?” Link from The Legend of Zelda has appropriately changed and developed alongside the series, but in Pit’s case, he needed to change in one big leap. You all know the kind of role he played in Super Smash Bros. Brawl. “It was through a very strange twist of fate that I came to create this new entry in the Kid Icarus series. I think being able to add your touch to a title of this nature is almost unprecedented. So, of course, I have made no compromises on content.It has a fun multiplayer mode that is brimming with variety, which it inherits from the Super Smash Bros. games. The weapons, powers, and stages combine to create different results every time. You never know what will happen. Please try to play it with six players. “On top of that, it has a robust single-player mode. The theme of this mode is challenge, and it starts with the Fiend’s Cauldron. It’s not the kind of game that you play through once and are done with – you can play this mode many times, as often as you like. The story is also quite robust from a gaming perspective. I wrote the entire Japanese script myself, and it is rich with humor and plot shifts, which have been translated overseas by the staff at Nintendo of America. If you find it funny in your own tongue, it’s because of the efforts of NOA’s localization team. I hope you will enjoy Kid Icarus: Uprising”.